Photo was taken two days before Seattle gets cloudy again. That's a nice B&W night shot. 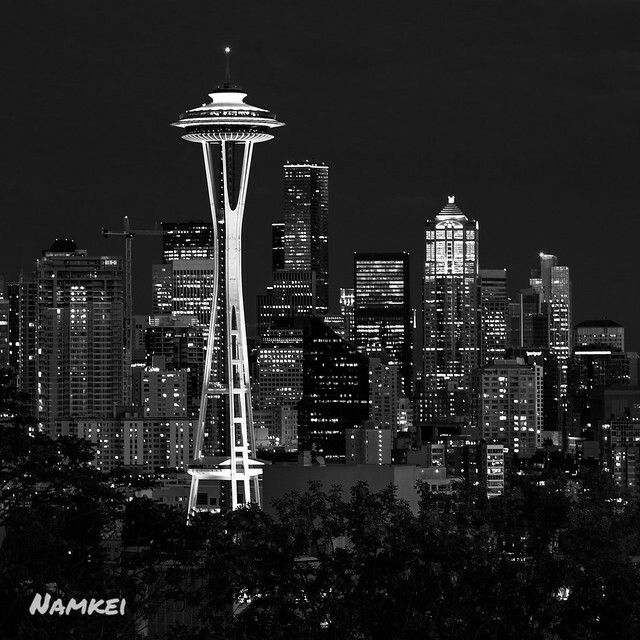 Excellent shot, I used to goto Seattle a lot back in the 90's. What a great place I sure do miss it. Thanks! It wasn't taken at night. I decrease luminance of the blue channel in Lightroom. I'm going to miss the summer in Seattle. It started raining again yesterday. Wonderful B&W shot- perfect contrast! Excellent use of black and white! Fantastic B&W composition. Superb work. Very good photo of one of my favorite cities. Very sharp, crystal clear...lovely B+W photo.